A smart use of letterpress on a pre-converted envelope. With there cool design Hey was mindful with the position of their logo making sure it printed off the seams avoiding the cost of a post converted envelope. Chipboard is no longer relegated to the back sheet of a note pads and being 100% recycled we use it for all sorts of projects like folders, hang tags, packaging and business cards. 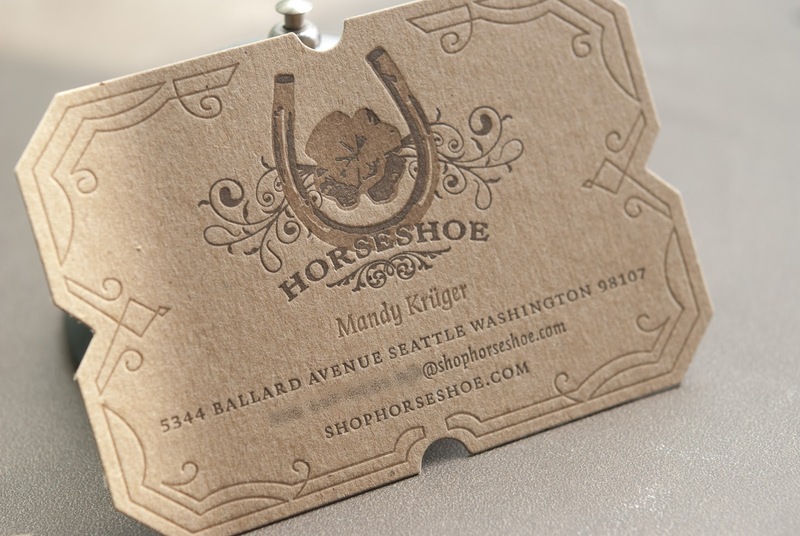 We really like this 2 color letterpress business card designed by Jenny Wilkson for Horseshoe Boutique that includes a super cool die-cut. Get inspired by the most current and innovative print design. Our visuals will inspire you and our helpful print tips will give you the words to convey your creative vision to others. We will be previewing new papers fresh from the Mills, discussing print methods, and imparting valuable insight into process and technique. Evolution press is a high-quality letterpress shop located in Seattle, WA. 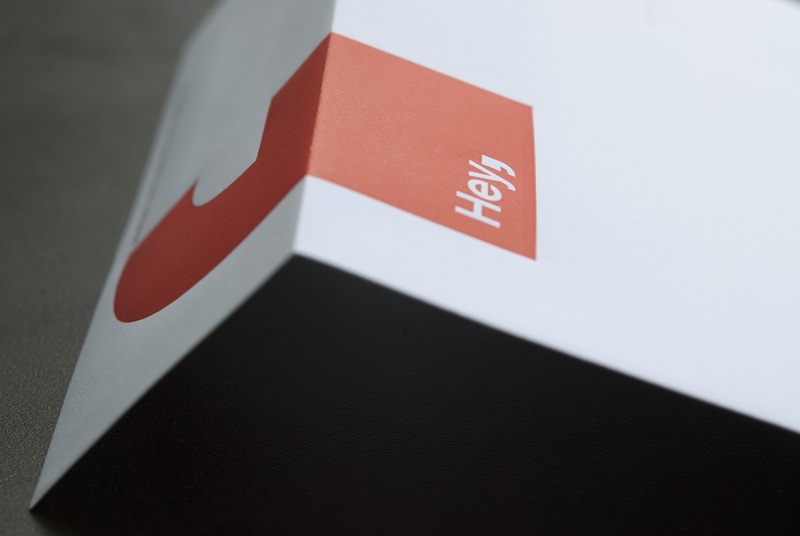 We provide traditional letterpress services, with a fastidious attention to detail. With our extensive trade knowledge and love for presswork, we deliver work that is unique and unforgettable. © Evolution Press Incorporated. All Rights Reserved.